As someone who tests many skin care products out (and often at the same time), when I manage to practically finish an entire tub in just over a month, it says a LOT about how truly amazing a product is. I am a huge, and I mean HUGE fan of body butters - actually, they might just be my favourite body products to apply. Granted, they may be thick, they may feel greasy, but they truly work. 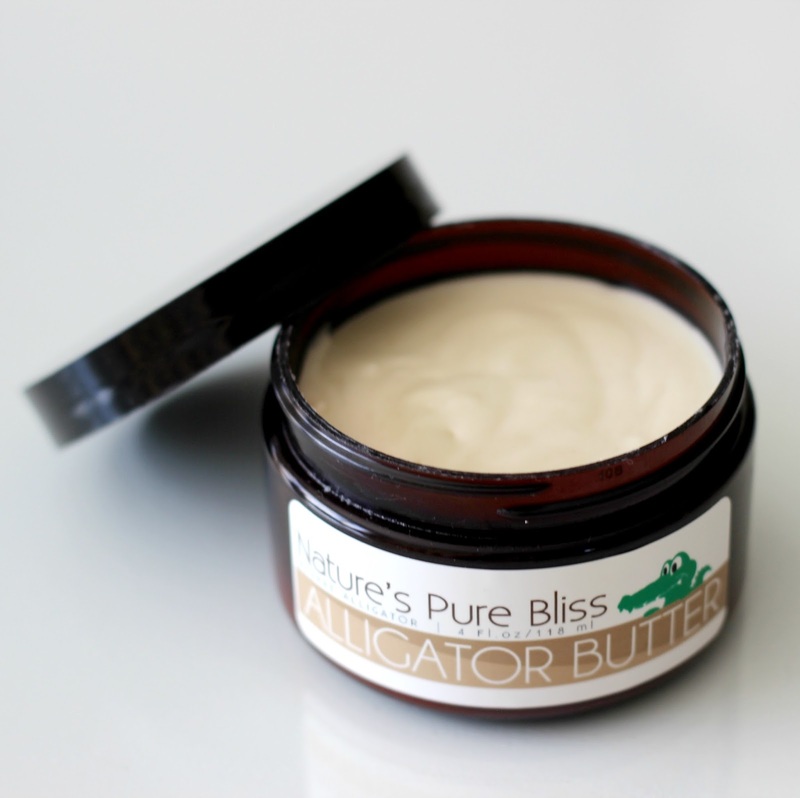 I recently had the opportunity to try out the Nature's Pure Bliss Alligator Butter*, which you may have guessed was created to soothe extremely dry, scaly skin. While I may have combination skin on my face, my body tends to be flaky and become itchy if I forget to tend to it, even just for a day. I recently raved about this body butter, but honestly the Alligator Butter would have to take the cake in terms of my current favourite body product. Here's why. I thought I would start by talking about its scent, because it is so very unique. I reckon it might not be everyone's cup of tea because it is quite pronounced and unusual - I've actually never smelled anything remotely close to it - a mix of both floral and spicy. This butter contains a nice array of oils and extracts, some of which I have never come across before, i.e. Kokum Seed Oil, Karanja Seed Oil, St Johns Wort (yes, that is in fact the name of an actual plant), Tamanu Seed Oil and Marshmallow Root Powder. More commonly known ingredients include Mango Seed Oil, Coconut Oil, Apricot Oil, Ginger, Ricebran Oil and the list goes on. I would attribute the spicy scent to ginger, which I used to avoid, especially in drinks and food, but have come to love in the past few years since discovering how beneficial it is for the body, inside and out. 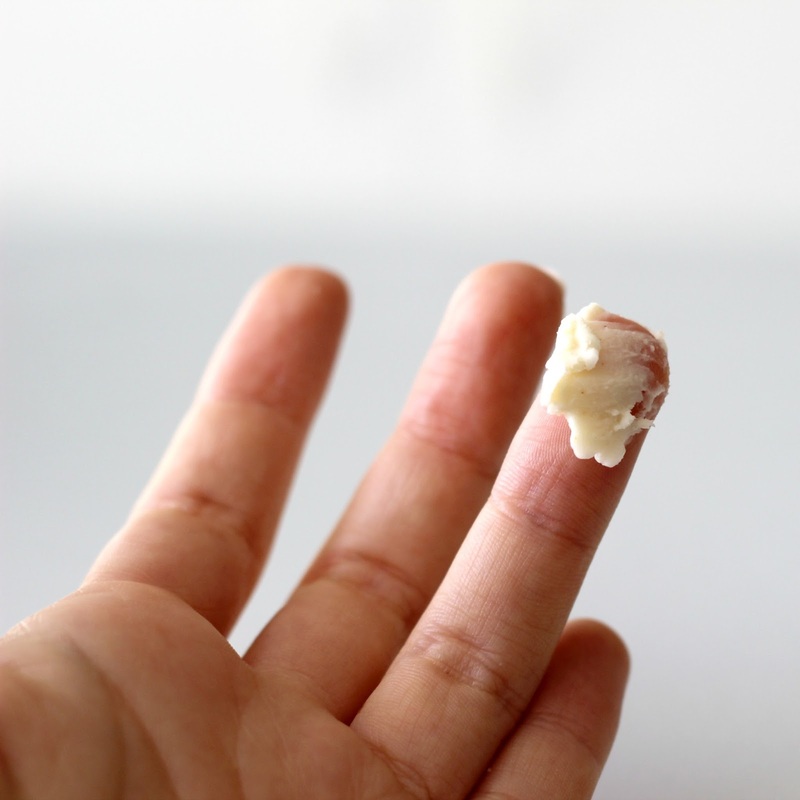 The consistency is similar to solid coconut oil - once scooped into your hand, it will slowly melt and spread with ease when applied to a larger surface. I smear it all over my body with the exception of my face, and I kid you not my skin has not dealt with an inch of dryness since starting use. My elbows, knees and ankles do not stand a 'flaking' chance! I absolutely love supporting small businesses that make natural products, and the fact that this family-owned, Canadian company prides itself in creating small batch blends that are 100% vegan, fair trade and organic simply makes my heart sing! 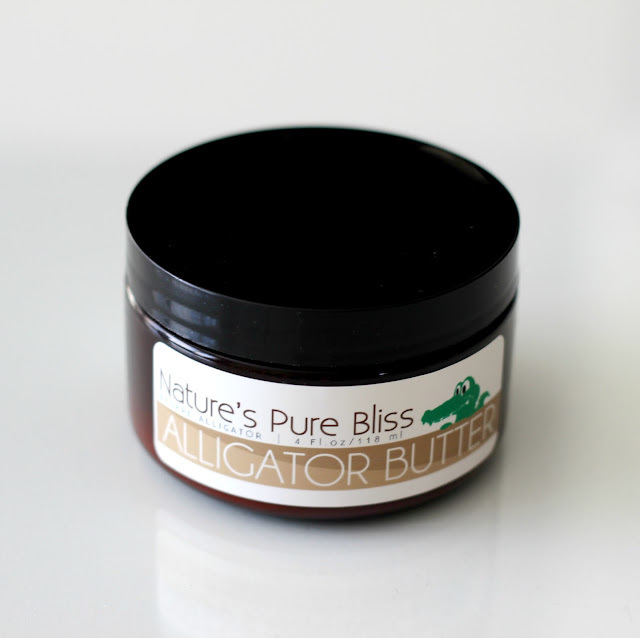 Nature's Pure Bliss products can be purchased online and at select retailers, with the Alligator Butter going for C$17.00 for 4 oz or C$30.00 for 8 oz, however you can receive $5 off your order with code NLB2016, valid until March 31st! Are you a body butter fanatic? Which one can't you live without? Great product. I would love to use this product, sounds amazing. I have started using cream by lifecell and it has great results. The name really says it all! It's such a pleasure to read and share your healthy and informative Alligator Butter review. Thank you for partying with us at the Healthy, Happy, Green and Natural Party Blog Hop. I'm pinning and sharing this!